Saturday, December 22 from 11:00 - 4:00 p.m.
SB History & Humor Book Released Historian/humorist Betsy J. 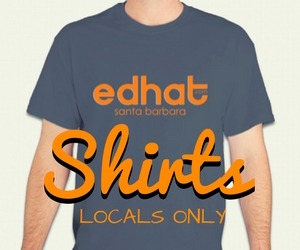 Green looks for fun and interesting stories in Santa Barbara’s century-old newspapers – so you don’t have to! 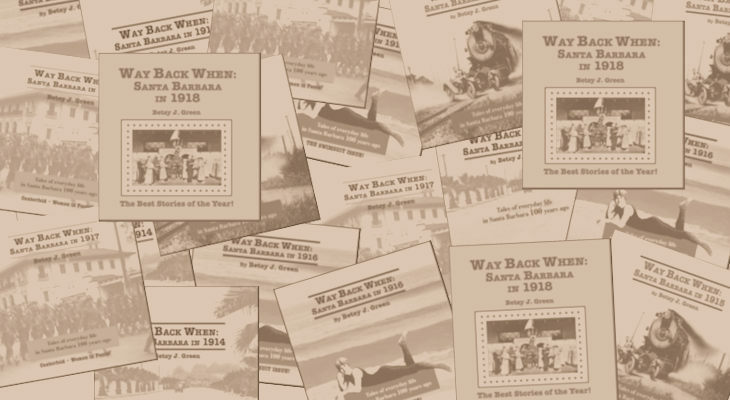 “Way Back When: Santa Barbara in 1918,” the fifth book in her series that highlights the best stories of the year, is now available – perfect timing for the gift-giving season. Here’s the best part – it’s just been published, so those people on your gift list who already have everything don’t have this book yet. Hah! How about that? A racecar driver drove into Gibraltar Reservoir (before it had water in it). The circus came to town with 600 people, 400 animals, and marched up State Street. Schools cancelled classes because they knew no self-respecting kid could resist. Sharks slithered in Goleta Slough. The 1918 SBHS yearbook was full of jokes, such as: Teacher: What is a synonym? Student: It’s a word you use when you don’t know how to spell the one you thought of first. 200+ stories in all The price is an affordable $14.95 – way cheaper (and funnier) than the new Montecito history book that costs $50 more!